Are you seeking a destination that’s warm, tropical and sunny? Do you prefer destinations that are authentic yet offer a resort surrounding? Finding a travel spot to make your own is what many seek and few successfully find. 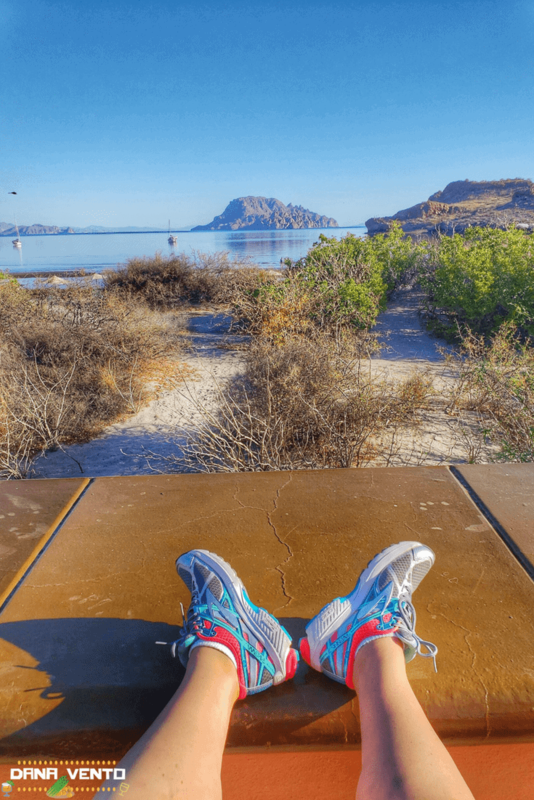 After spending a few days at a luxury resort overlooking the Islands of Loreto in Mexico’s Baja California Sur. Pack up only what you will need, as this resort offers everything down to the washing machine! 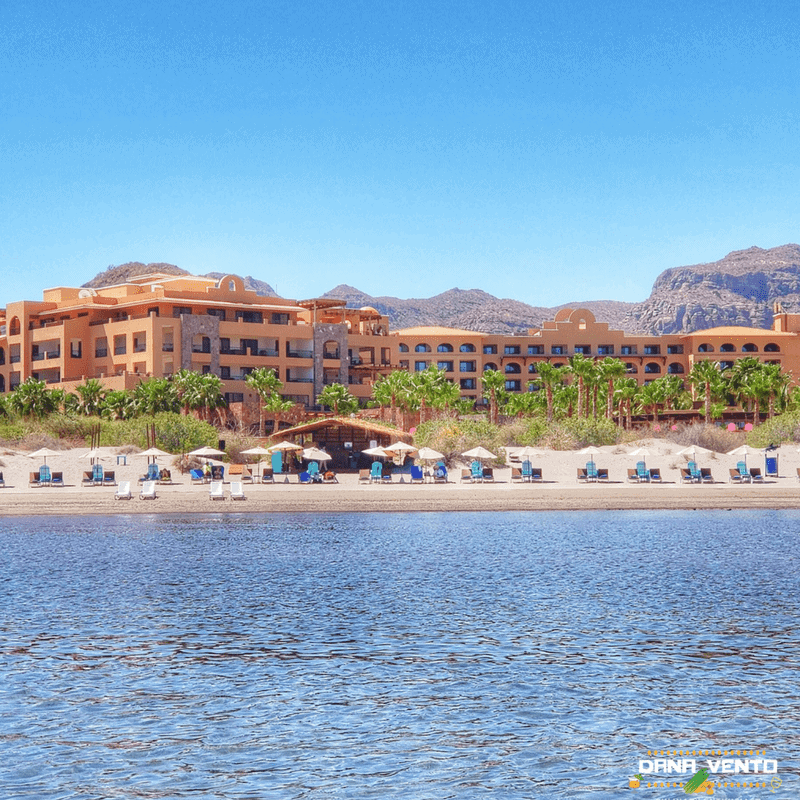 Jet off to the islands of Loreto only a short 2-hour flight from LAX. 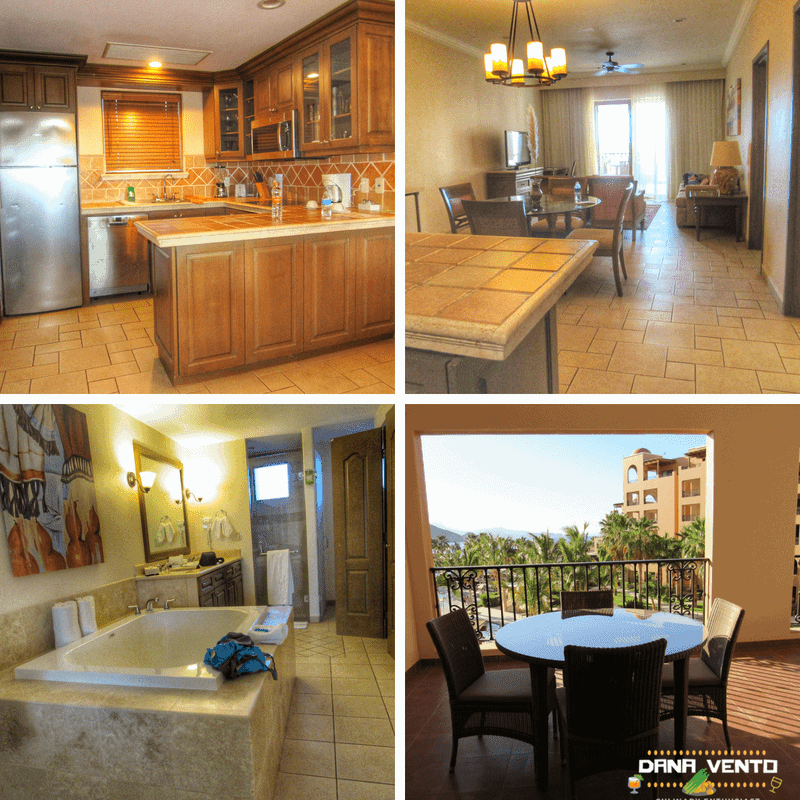 Bring along your golf clubs, appetite, and zest for new experiences. 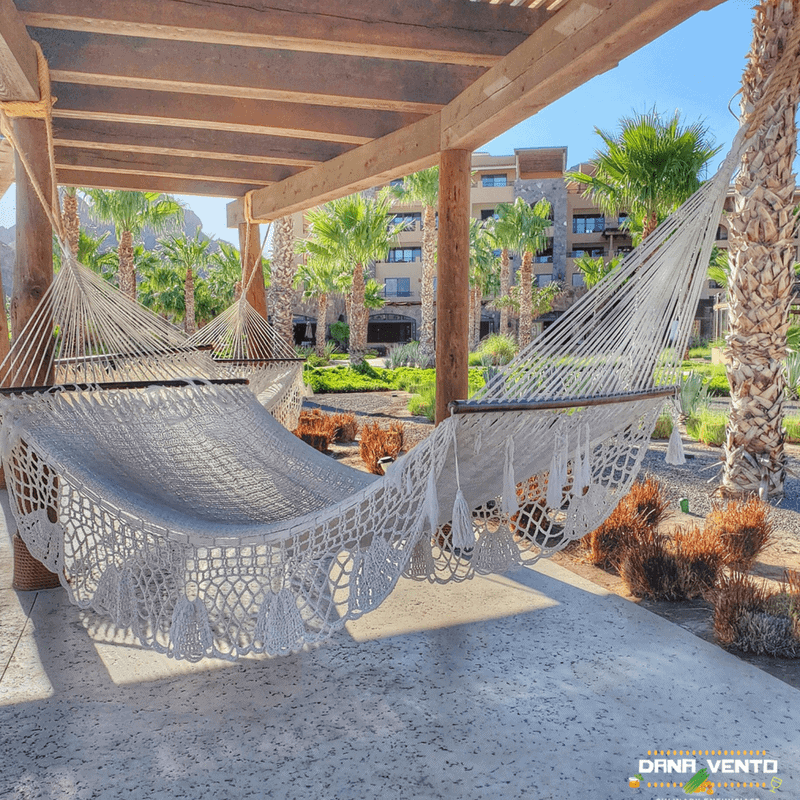 You will rediscover authentic Mexico while discovering very tranquil and lavish surroundings. 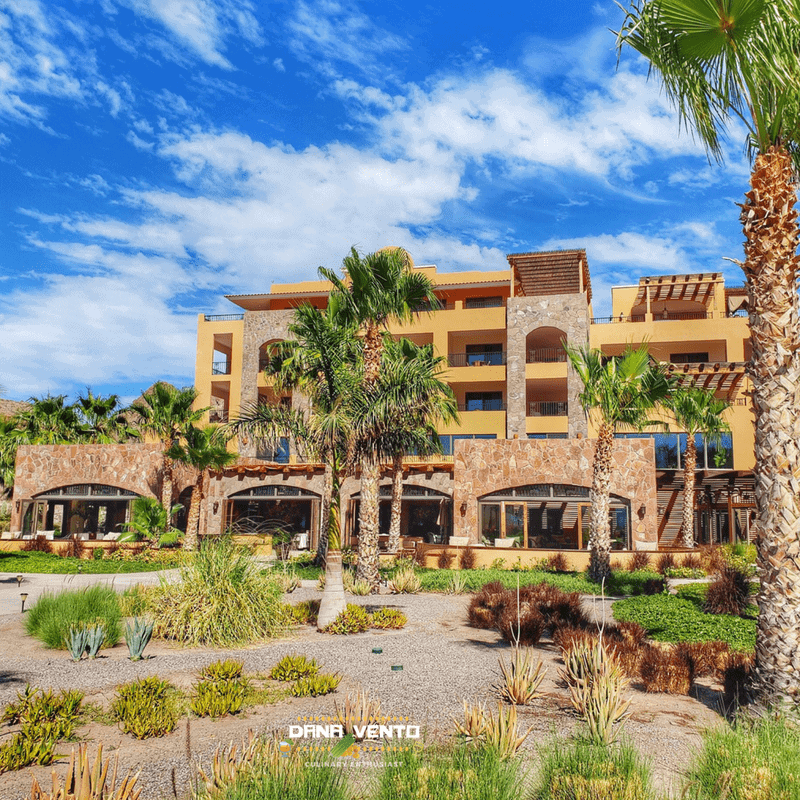 Lavishly live travel out loud at a luxury resort overlooking the Islands of Loreto. 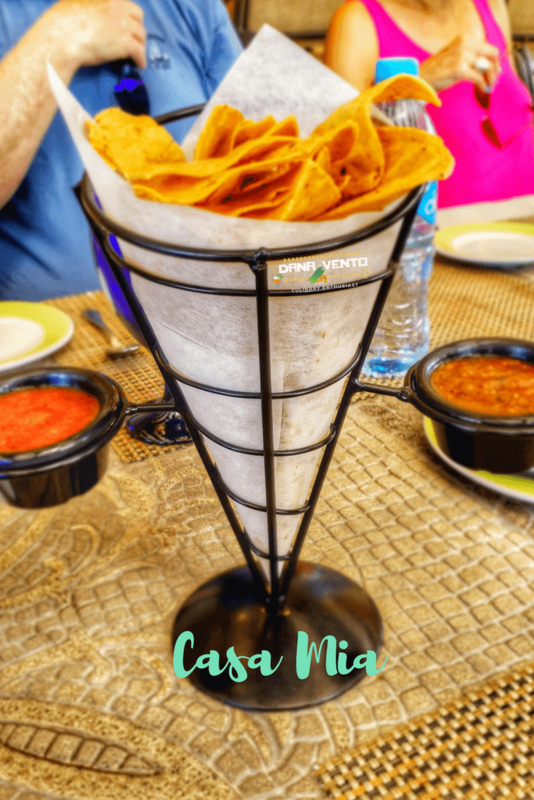 Please note, I was a hosted guest of Villa del Palmar, however, all images and opinions are my own based on my personal experience, as a traveled foodie. I seek out the best of the best! FOUND! 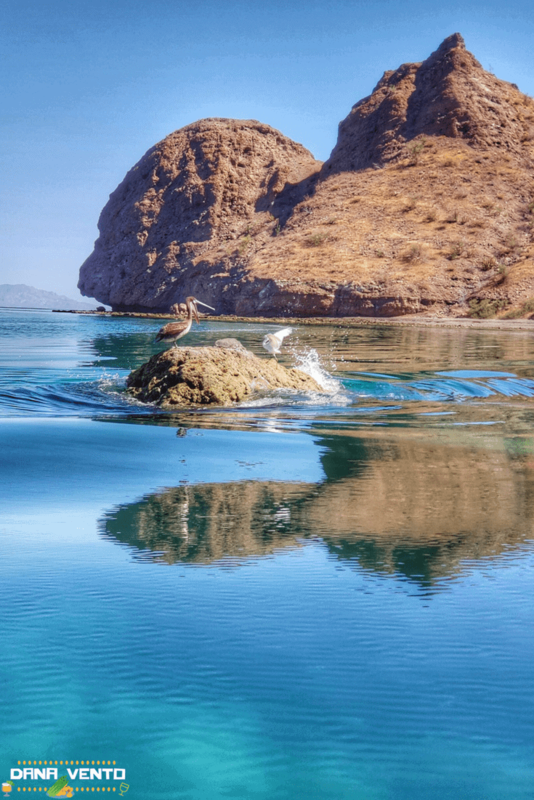 Perhaps one of the last true Mexican vacation spots to remain as authentic and culturally preserved as one can hope for is what you will find in Loreto. While it is changing and being learned by tourists, its secret is still very quiet among tourists! 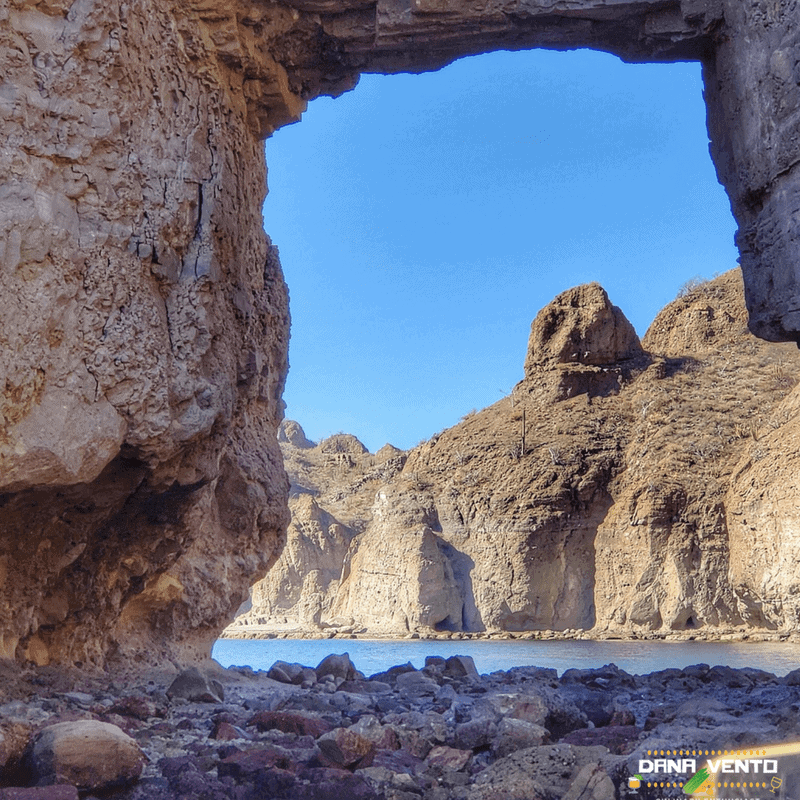 In many respects, it is as though time has swept through yet passed over this Baja destination. 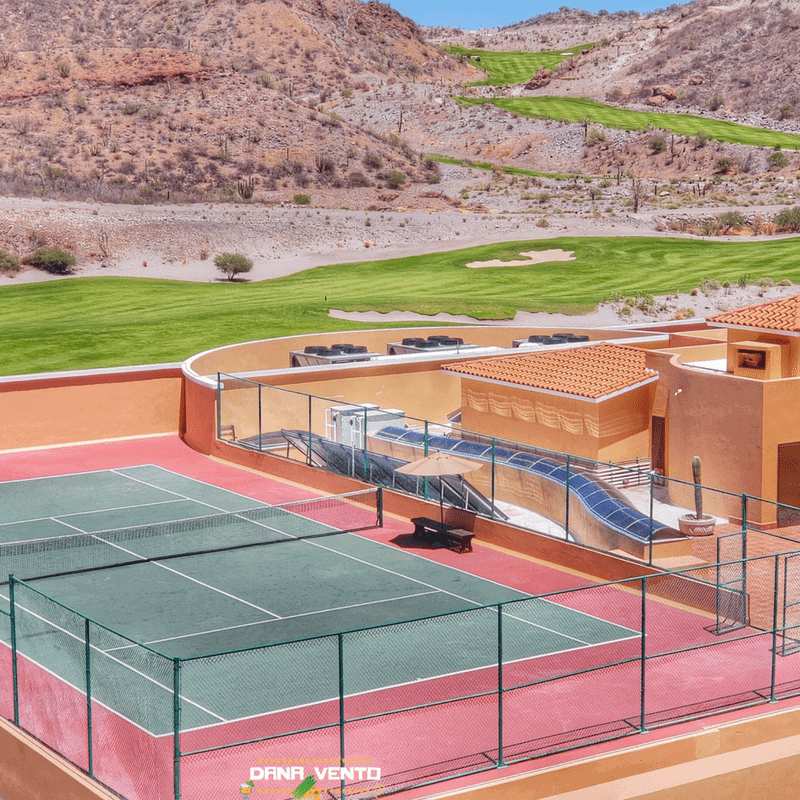 The view can be yours, and so can playtime at this elegant golf site. It’s priceless, breathtaking, challenging and one of 4 TPC International approved golf courses. Look at this, stunning, insanely beautiful and beyond words right? I believe that once you see a few of the hole you will totally to understand the delicate balance of landscape architecture as well as the balance of nature. 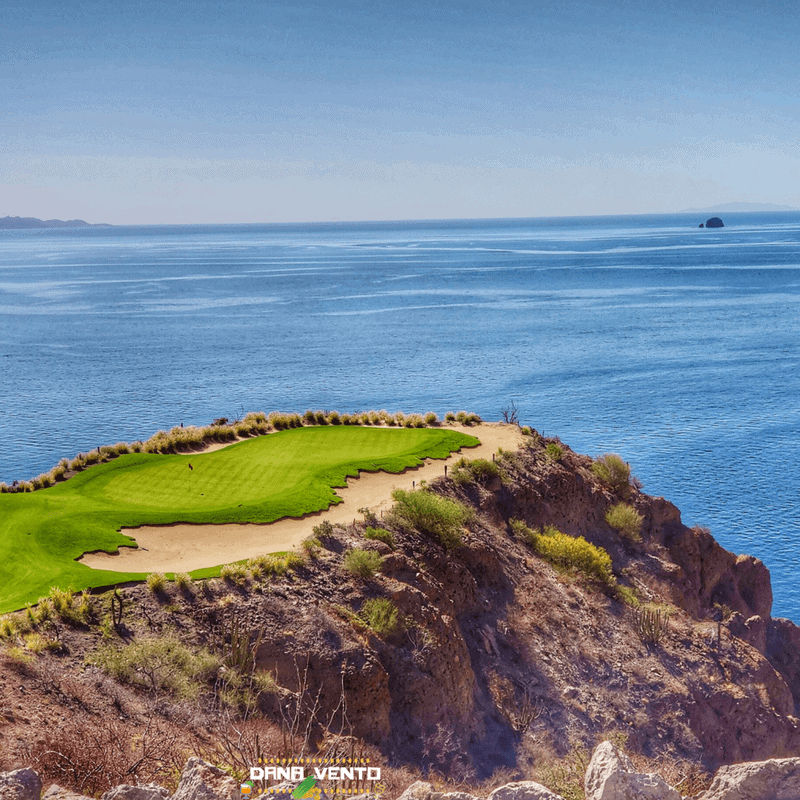 TPC Danzante Bay golf course is just stunning. From the top tee to the shoreline, the views just will keep your eyes roving! When you look to the resort side, this is the scenery. The ocean is just beckoning you to play through then indulge in water sports. The islands glisten in the sun and the topography is just to be ogled at and enjoyed. 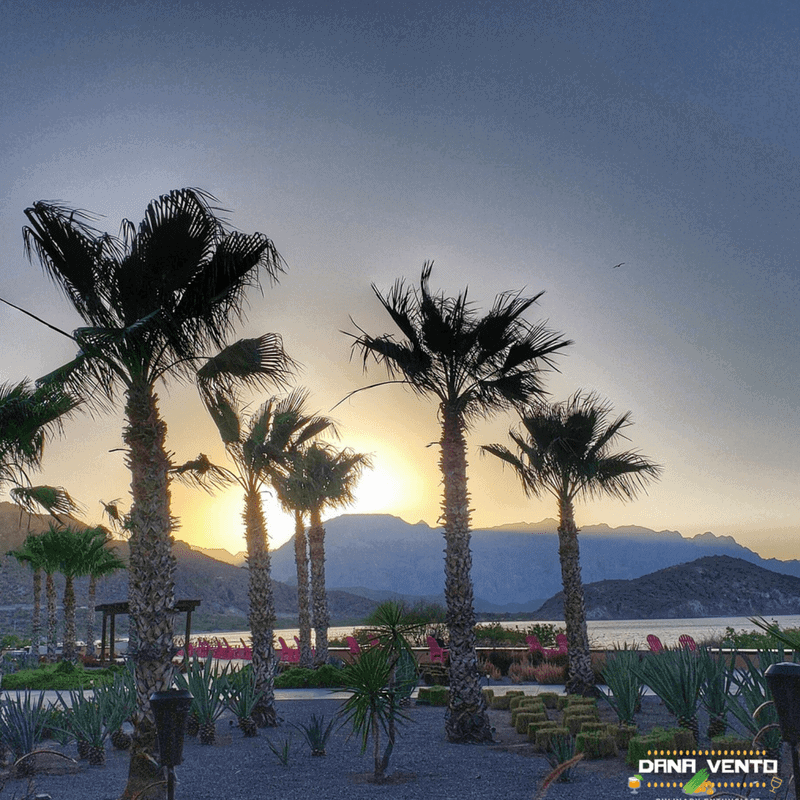 Manicured beds, insane desert planes and the sun all play into the beauty of the TPC Danzante Bay Course. When you dig deep and seek a resort that offers both calm and vibrancy it can be a tough find. 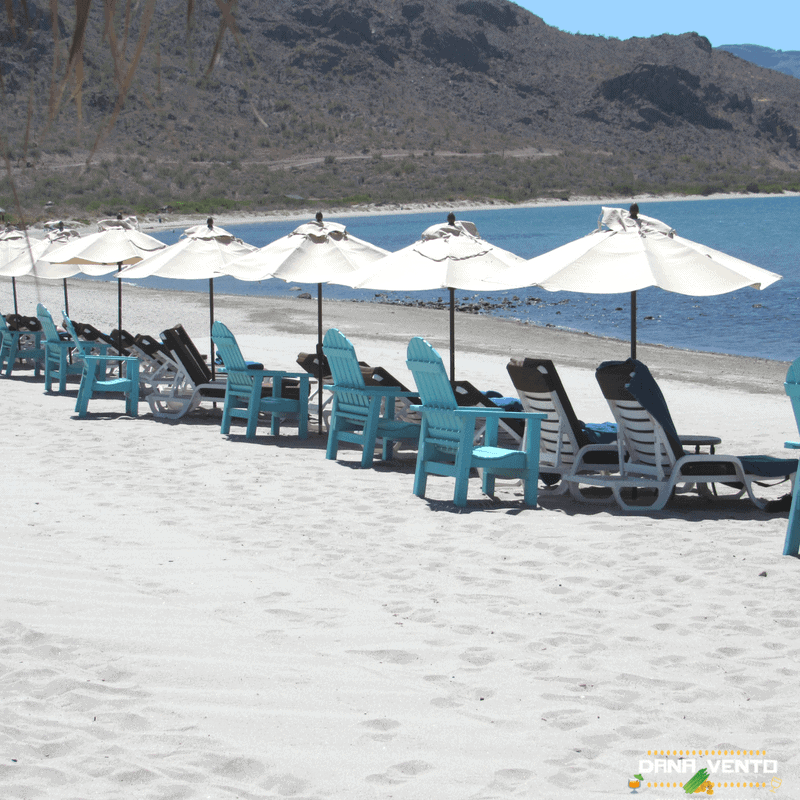 Villa del Palmar is an uncrowded and as ‘ah-natural’ as you can experience in a destination. 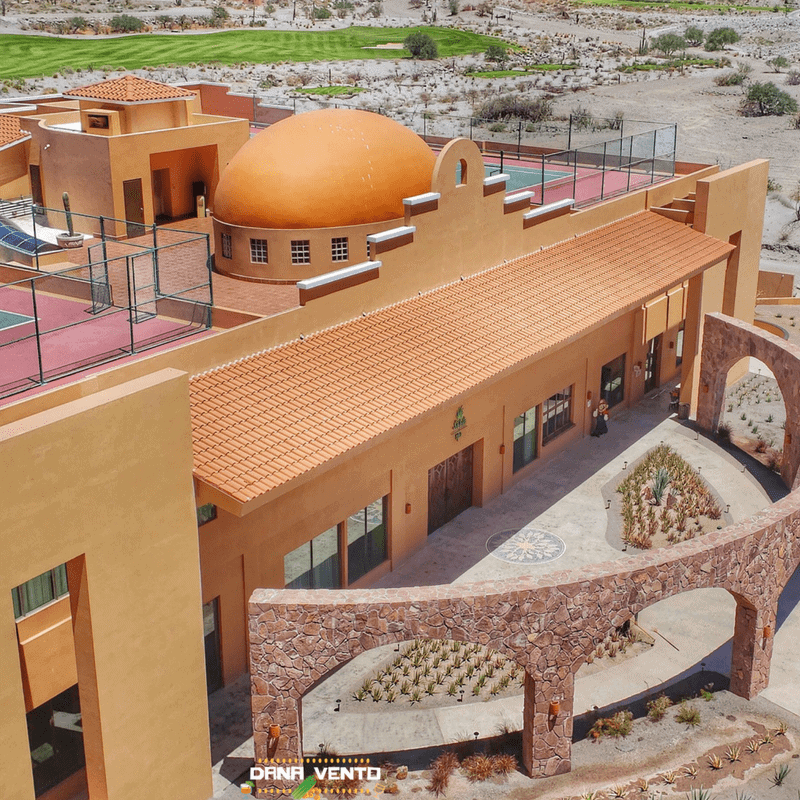 The resort offers guests incredible views, stunning landscape, easy access to the Sea of Cortez, and pristine waters for every possible water sport and experience. Every view is the perfect view no matter where you are, or when you are standing or sitting there! 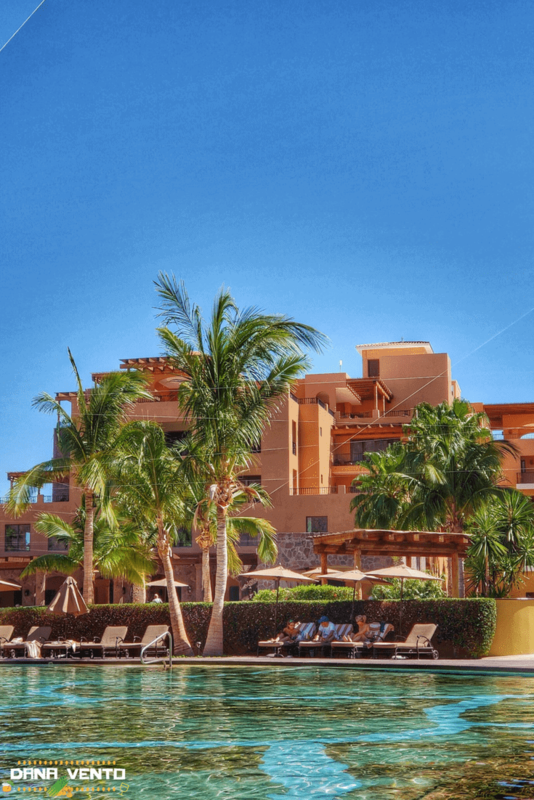 Villa del Palmar offers an unparalleled luxury resort. Do not go looking to get your ‘party-on’ because it is far from a party resort. Rather the resort is a destination offering peaceful surroundings, where tropical birds chirp, and you can hear the palm trees as they sway in the wind. A happy atmosphere encompasses the entire lavish resort. In fact, the resort is wrapped inside of traditional dessert foilage (cactus, etc) and then there are the palm trees that just tilt and are breezy. For me, getting there took a little doing, but the resulting vacation was priceless. (a few flights because I needed to get to LAX and fly from there). Would I do it again? Oh, my yes and I am waiting to go again because I have about 200 more things I want to do while I am there, a few days is not enough, pack and stay at least 10 days. For those seeking a destination that exemplifies a quiet contentment, with incredible amenities, great service, coupled with beach and pool access, this is your spot. Of course, in my world, luxury resorts are only as lovely as their spa. 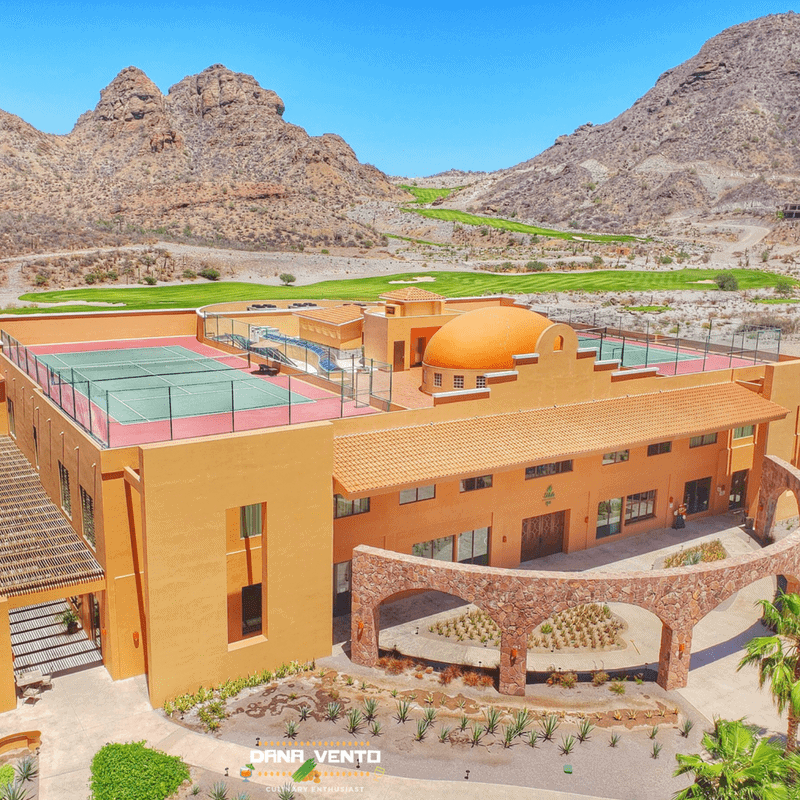 Villa del Palmar offers a full full-service spa and incredible hydrotherapy area. Once inside, you will be able to enjoy the stunning views from your comfortable robe, and chaise recliner on the 2nd floor of the facility. The spa offers many services and includes a hydrotherapy pool area with warm soaking tubs, cool tubs and more- because the spa is so private there are really no images I can share. Excellent customer service at all restaurants and bar areas. All of the servers and hosts will get to know you as well as your food and beverage preferences. Whether you are seated around the pool or by the beach. I assure you that you will fall in love with the surroundings. When tennis your favorite sport, play it early in the morning atop the spa. Your views will stop you in your tracks. The air is pristine, and the tennis area immaculate, have a look! When its low tide in the early morning you can mosey out so far and still be ankle deep only. As the day progresses you’ll enjoy fabulous bar service by David Ortiz the mixologist you have to meet! 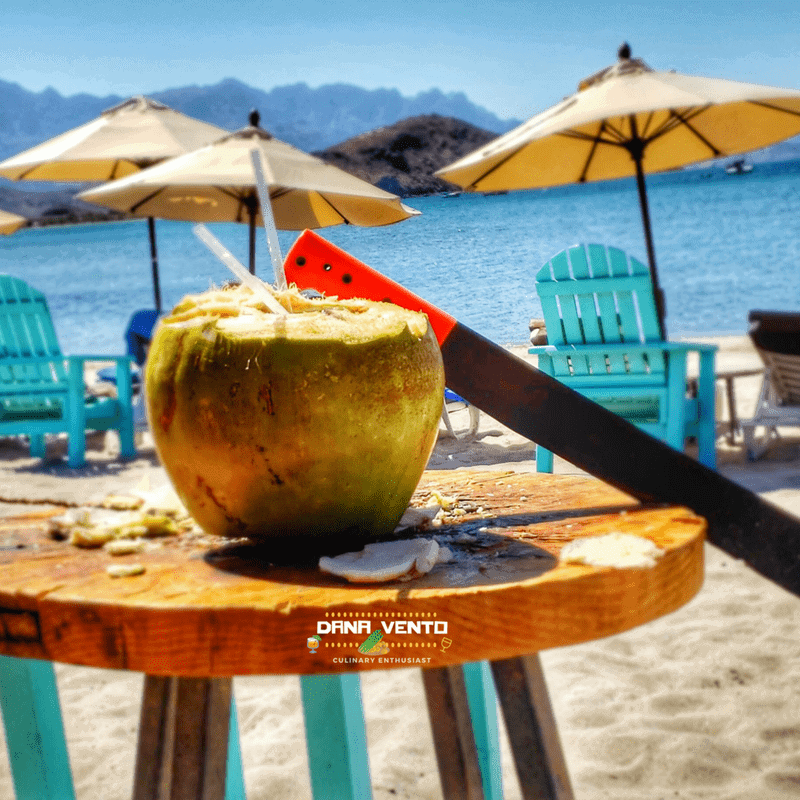 Humor is served up with some serious drinks like Abuelita Margarita, Coco Loco, and Easy Go Down! You can read my other article on this coming soon! 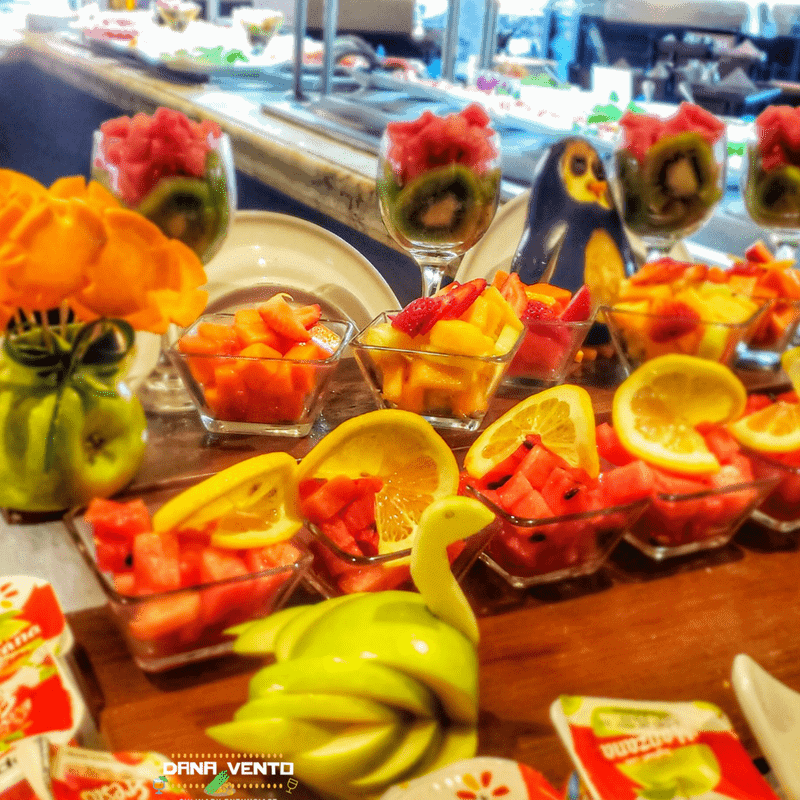 Enjoy bar services and yummy eats served up the sunny side with smiles! A dip in the main pool, infinity pool or soaking tubs washes away the steamy and hazy sun and beckons you to stay outdoors. It is irresistibly beautiful and the pool areas rock relaxation. Being here is about being at peace and enjoying. There is no rushing, no pushing to move on to the next thing. Pick what you want to do and just be. That is what I did. What you want to know is that there are towels everywhere waiting for you. There’s a pool towel Cabana and you will find towels in the wall by the main bar area. Additionally, any rolled towel on a chair is a free chair and a towel waiting for you There not a towel check in and check out and no towel card is needed. Making great use of their outdoor space the lounging can continue by night as you indulge in the pink rocking chairs. In between the chairs are tables for your beverages. You will find 2 hammocks to lie in and enjoy the stars the stars shine so brightly and beautifully it’s as tho some has turned on a high illumination switch. 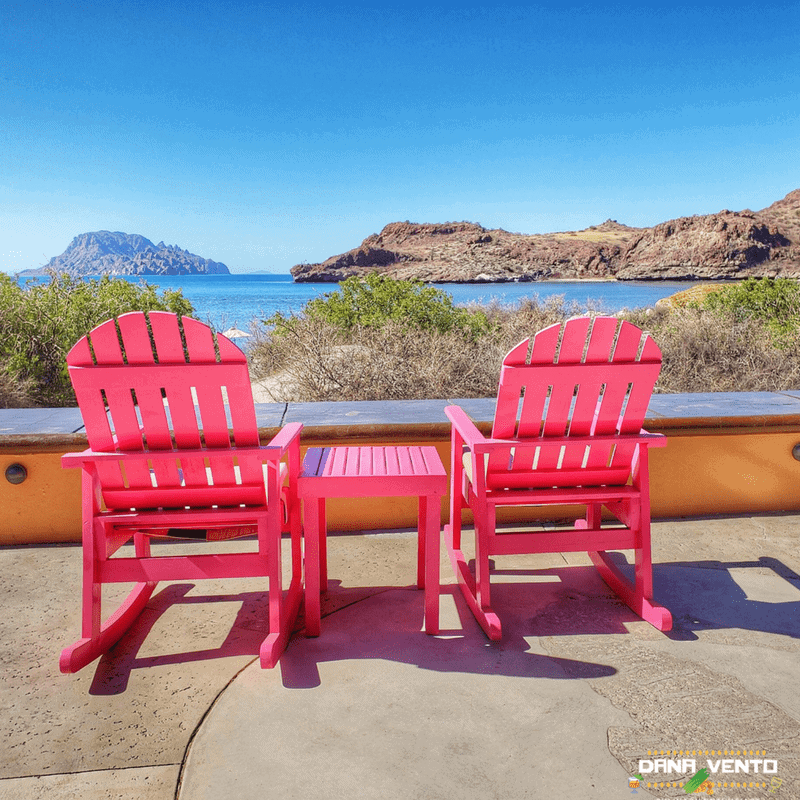 While the sea offers rolling breezes Villa Del Palmar meets those with fire pits – who would imagine that in a fabulously warm destination that a fire pit would offer further luxury enhancement? Its advisable to walk the property or the hiking trails in the early hours as the sun is voracious. On the outskirts of the resort, u will find lovely specified marked gardens, cactus, and photo ops everywhere you turn your head. When you are ready to ditch the pool for a bit schedule a snorkeling boat tour of the islands. Your guides will show you history, and you may even encounter dolphins. Starfish, eels, stingrays, bass, minion, egrets, hawks, seagulls, manatees, clownish and more wait in the pristine waters of the Sea of Cortes. What you are staring at is the back of the Casa Mia restaurant. If you love a great view, a drink and want lunch served, head here. It’s perfection from every angle. These are sinfully just delish and you will not be able to stop munching on them, I could eat them over and over. Endless feasting. Casa Mia offers lunch thru dinner dining options. In addition bar services once lunch begins. The chips are just so good and the presentation makes them even better! Buffer style dining each morning with some mainstay food offerings such as cereals, and bread. Other varying options include cheeses, fruits, pastries, eggs, potatoes etc. Want to see where I spent my mornings? It’s easy to understand why once you see this! Yum! Rooms vary in size. For your frame of reference, this is a one bedroom deluxe suite. Included in the room: full kitchenette, washer 2 bathrooms, living area with flat screen, dining table. A soaking tub, full closet, safe, ironing board, hangers, towels, hairdryer, and lanai. There are morning cleaning services and nighttime turn down with treats. Highly advisable to bring sunscreen with you, glasses, and hats! Want to see more of the room? Watch my video it shows you everything you want to know about the room! You should plan to pretty much unplug on the trip here as the destination offers spotty WiFi In public places only. While you might be shaking your head it’s truly amazing what disconnecting can do for your mental health. I was fine with posting just here and there, and if I would have had time I would have sat in the lobby! Allow your phone to be your photo source and keep it at that. If you truly are jonesing for WiFi head to the front reception area and lounge while grazing on delicious cookies (on the front desk)!! Just in case you have a few senior moments when packing and forget items there’s an on-premises market to help you out. From reasonably priced tees to beer everything you need is there! The town works with pesos, not credit cards so keep that in mind as well. Suggested dress st restaurants by night are fun dresses for ladies such as sundresses, light flowing pants strappy sandals etc. If you prefer more casual clothing such as knee-length shorts and basic tees your dining experience will be at the Market. Do note: Cover-ups are needed at all dining facilities. 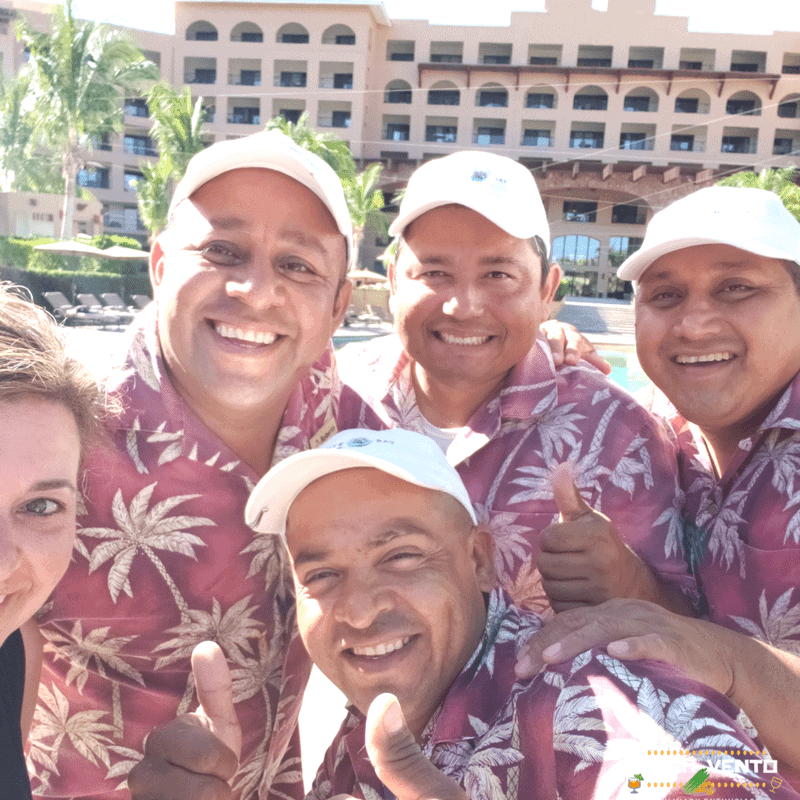 thank you for the shout out – wasn’t this the most beautiful resort? We are saving our dimes as well – we cannot wait to return as a family! The resort Is gorgeous and definitely one to return to over and over. Vacation Paradise Found! This resort looks so amazing and the surrounding landscape is extremely beautiful! I would definitely love spending a vacation there! This looks like such a beautiful getaway! Your pictures speak for itself how splendid it is! I’d love to visit there! Wow what an absolutely beautiful and amazing place to experience! I would adore staying here someday. I have never heard of the Islands of Loreto before but it surely looks beautiful. 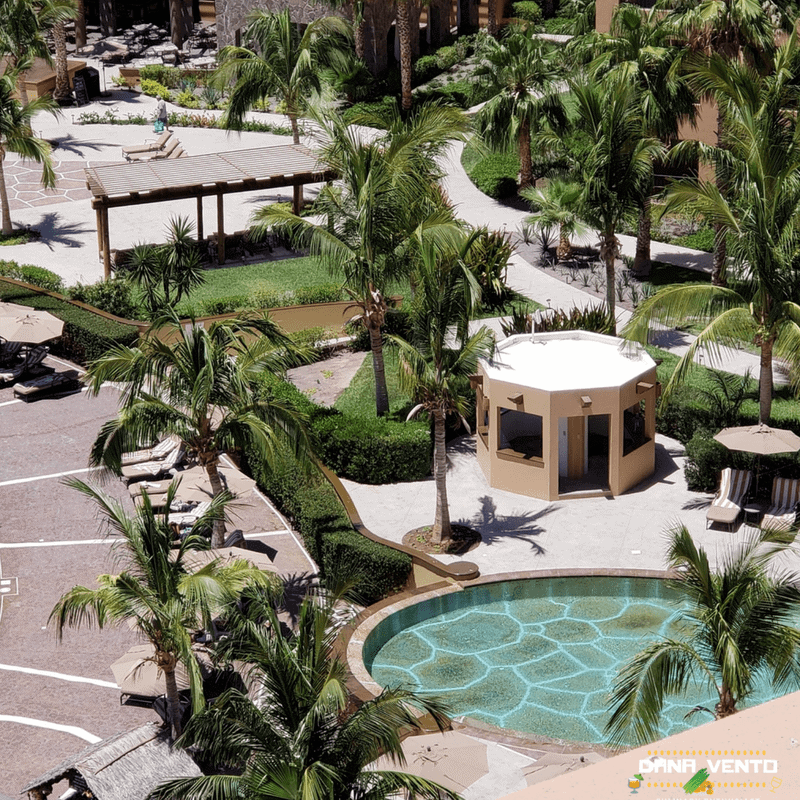 Villa Del Palmar Looks so luxurious and I love that it is a party resort. I would love to check it out one day. This resort looks amazing! I am going to keep this in mind I may have clients wanting to go to this area so alaways go to know about great hotels!